After opening the observatory I checked my list of next targets for my Extragalactic Supernova Project. I decided to photograph NGC2841, NGC2976, NGC2985, NGC3079, NGC3115, and NGC3169 this night. 1846 MST: sunset. The time of sunset was approximate as the Sun was hidden by clouds along the western horizon. 1849 MST: LX600 ON, StarLock OFF, High Precision OFF. Viewed the star Sirius, 102X. Prepared the D850 DSLR for prime focus imaging. 1915 MST: slewed to the star Regulus, SYNCed the AutoStar, and tweaked the alignment of a finderscope. 1930 MST: mounted the D850 DSLR at prime focus of the 12" telescope, focused on Regulus, and locked the telescope primary mirror. 1940 MST: heard a critter near the observatory. Used a nightscope to try to see the animal but never found it. I then viewed Orion using the nightscope; nice view. 1950 MST: High Precision ON. 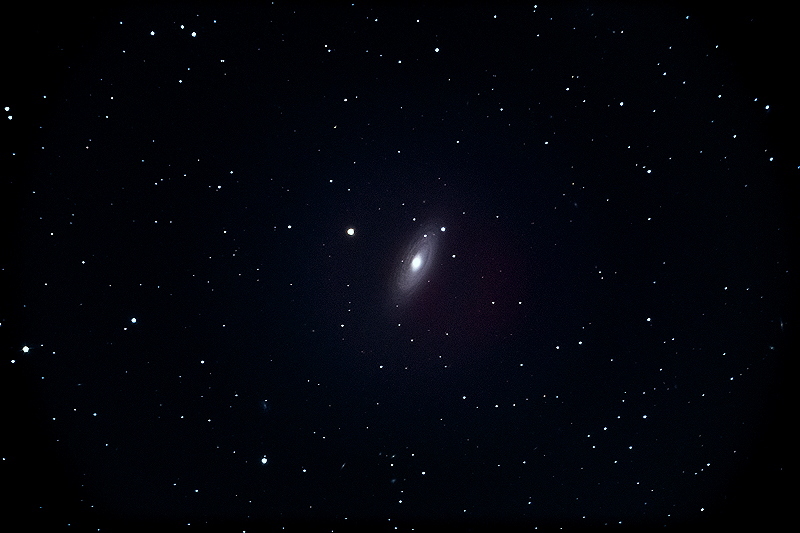 Slewed to my first galaxy target, NGC2841. 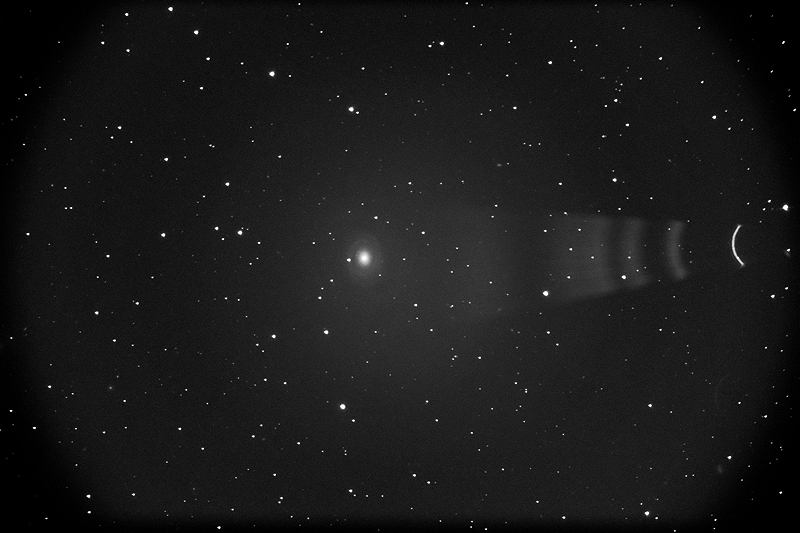 Glare from a bright star outside of the field-of-view is evident in the last image. I had hoped to image more galaxies this session but seeing was rapidly deteriorating and StarLock autoguiding became erratic. Ended imaging. 2047 MST: StarLock OFF, High Precision OFF. 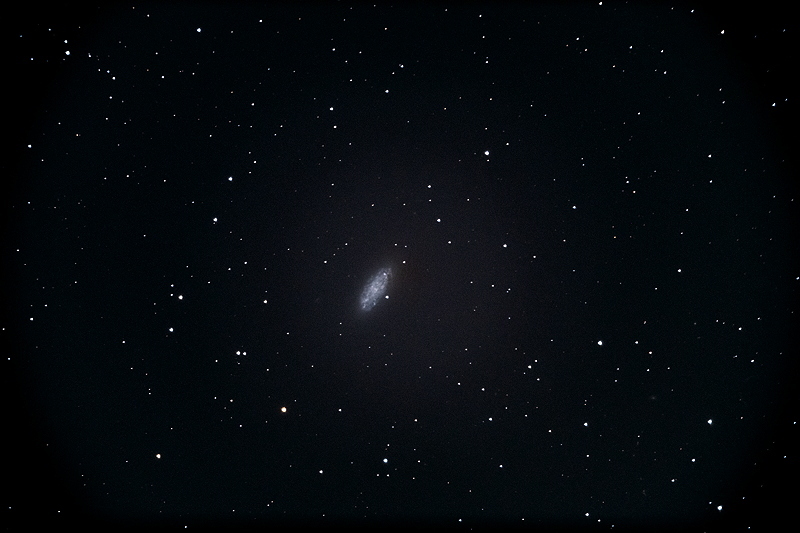 2055 MST: viewed the Leo Triplet of Galaxies (M65, M66, and NGC3628), 102X. Always a nice sight. Here's an article about "Arizona's Dark Side". I was quoted.